Last week, my Big turned 13. The teenage years are officially upon us. So, in true Carrie fashion, two days before her big day, I decided that I wanted to come up with something special to ring in her teen years. #1: I can pray for them. #2: I can show them a faith that is genuine and real. But this year, with one more year of parenting under our belt, I want to add one more thing that that list. #3: We can point them towards Truth. It’s true. I can’t give our kids our faith, but we can (and will) encourage them towards our God. As the voices around her continue get louder (because they will) and as the noise continues to increase (we live in an age of so. much. noise), we will lead her towards another voice. The voice of Truth. Sitting across the table from our Big, my husband explained to her our challenge. He told her that these teen years are pivotal to her growing faith, and now is the time to invest what it takes to make it her own. To help her in that, we are giving her a challenge. 13 things we want her to accomplish before she turns 14. 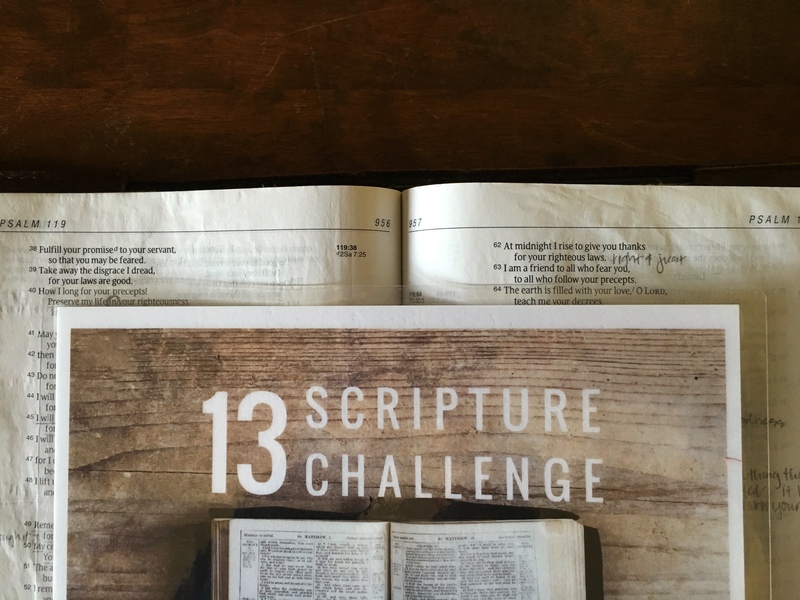 In the next 12 months, we are challenging her to read three books of the Bible, memorize 8 Bible verses/larger portions of scripture and do 2 things. Genesis – There’s so much goodness in Genesis (like creation, fall, Patriarchs, original covenant). There’s no better place to start than the book of beginnings. Gospel of John – This is our favorite Gospel. John’s account of Jesus is unlike the rest. The book is a powerful, personal eye-witness account that points to the true identity of Jesus from one of His most devoted disciples. James – This letter is easy to read and filled with practical nuggets throughout. 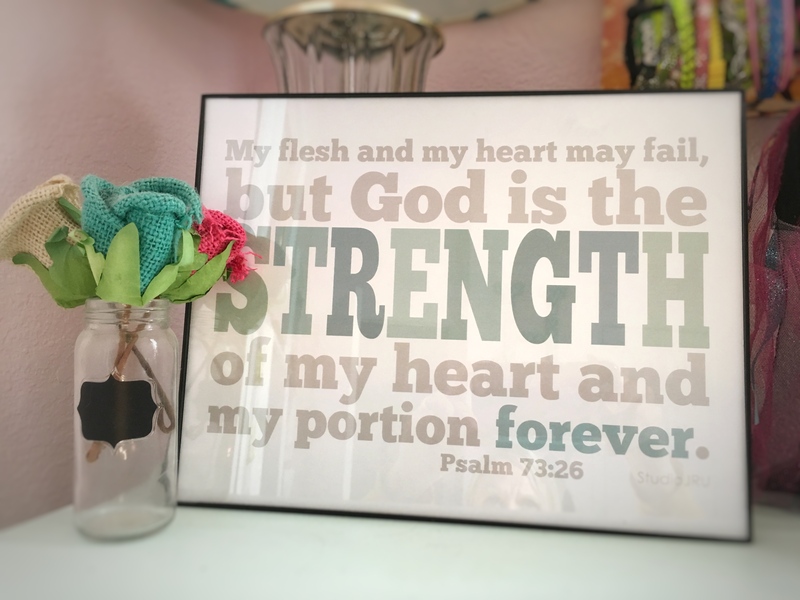 The Hebrew root for the name “Haley” means “God is my strength”, so we picked this verse for her to learn as her life verse. I found this cute downloadable print for her room. It is in the teen years that we begin to live according to our own understanding. It’s better to hammer in and lean into the truth of this verse now than have to unlearn some really difficult patterns of thinking later. Trust in the Lord, my child. He will guide you well. When life gets hard (and it will), it’s important to remember this truth: God is always working for our good and His glory. He has a purpose for us and it is good. Not fear, baby girl. Not fear. The Holy Spirit lives inside of you and gives you power, love and self-control. Lean into Him and let Him live these three traits in and through you. The teen years will expose many new temptations towards evil. Run away from them! Instead, connect yourself to others who are pursuing the Lord, and strive towards righteousness, faith, love and peace. All of Psalm 139 – This chapter teaches us that God sees us personally, knows us intimately, and loves us perfectly – important truths to permeate through the teen years. The Lord’s Prayer – We don’t go to a church that says this regularly, but we think it’s an important, powerful prayer to know. Psalm 119:9-16 – This text speaks to the importance of hiding God’s Word in our heart. Start a prayer journal – We think this is a great discipline to start in the teen years. It gives her an opportunity to begin pouring her heart out to God but also helps to track the ways He’s answering her prayers. Write a letter to your 18 year old self – This is a fun, little exercise. We’ll keep this letter for her and give it back to her when she’s 18. If you do not stand firm in your faith, you will not stand at all. Isaiah 7:9. As our culture continues to push further and further away from the truth, we want to raise kids who will not only stand firm in their faith but thrive it in. 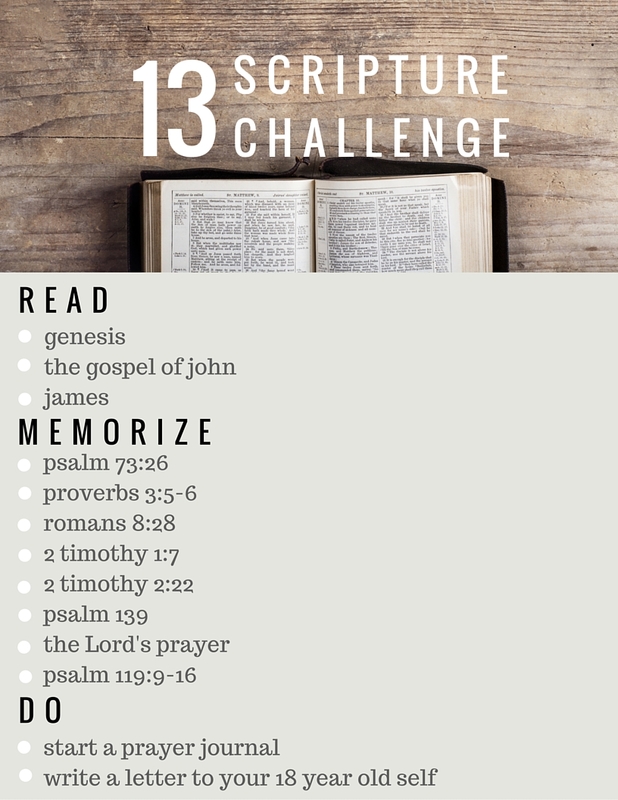 May this challenge serve as a tool towards more of Jesus, we pray. This is wonderful. Will do preteen contract for amara since she’s turning 10yrs this november. Great idea! I am going to do this for both of my daughters. Thanks Ayeshia. These kids are growing up fast, aren’t they!? !